Canadian citizens or permanent residents who plan to leave an inheritance to loved ones abroad face the same challenge: how to begin navigating the divergent system of international estate and tax laws. So storied is Canada's post-colonial, immigration-driven history that it's almost become clichéd. From Heritage Minutes to civic mottos, ours is a country that embraces its immigrant past and future like no other. Indeed, in recent years Canada has welcomed more than 250,000 foreign nationals annually looking to put down roots here. What's discussed less often is that as they build wealth, many of these newcomers eventually develop estate plans that bequeath inheritance to family members in their home countries. In the same way, many other Canadians with loved ones who live abroad for personal or professional reasons also face overseas tax implications in their estate planning. Gordon Jessup, a tax partner with the accounting firm Fuller Landau LLP in Toronto, says his firm has seen a steady uptick in requests for cross-border tax and estate-planning assistance, much of it relating to migration to and from the United States. "You may have a person who is a U.S. citizen who has to consider U.S. gift and estate tax issues," he explains. "We're also seeing individuals planning their estate understanding that a beneficiary may one day move to the U.S."
Whatever the circumstances, Canadian citizens or permanent residents who plan to leave an inheritance to loved ones abroad face the same challenge: how to begin navigating the divergent system of international estate and tax laws, particularly when considering that each country has its own set of tax and compliance obligations. The good news is that international estate planning isn't as difficult as it may seem. But it does require a pro-active approach. Mr. Jessup says the first step is to think globally and act locally. "You need to consider the Canadian tax consequences and administration of those assets, as well as the foreign," he says. While Canada does not have an inheritance or estate tax, there is a deemed disposition of an estate's assets at the time of death. At that point, a deceased individual's assets are assigned a fair-market value for the purpose of determining capital gains, or the difference in the assets' value from their acquisition to a deceased's passing. The estate must then pay taxes on half of those realized capital gains at the applicable personal income-tax rate. Notably, an estate's executor must ensure the estate has paid all outstanding taxes and must receive a clearance certificate from the Canada Revenue Agency before disbursing assets to the will's beneficiaries, whether they live in Canada or elsewhere. Mr. Jessup's advice is to seek the right help before developing an estate and tax planning strategy. "You're going to want to reach out to a professional, whether it's a lawyer or accountant, who's versed in estate planning in that [foreign] jurisdiction, so you get a brief education on the consequences to your beneficiary," Mr. Jessup advises. That includes drafting a will compliant with laws in your Canadian province, then having it vetted by a lawyer in the jurisdiction where any potential overseas beneficiaries reside to help avoid non-compliance issues, says Allan Madan of Madan Chartered Accountant in Mississauga. Some countries don't have inheritance, gift or estate taxes, while others – notably the United States – maintain tax treaties with Canada designed to prevent double taxation. "The general concept is, if the tax has been paid in one country already, then tax should not be paid in the other country on that same source of income," Mr. Madan explains. 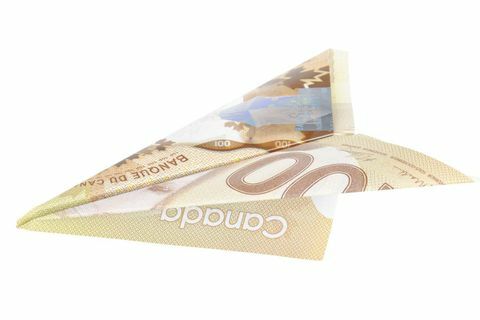 When making estate plans with overseas implications, Canadians "need to check the domestic law of that foreign country, but also whether there is any relief available for them in a tax treaty that Canada has with that country." In the case of a Canadian leaving assets to a U.S. relative, for example, the real issue is on the Canadian side of the border, according to David Kuenzi, a partner at Thun Financial Advisors in Madison, Wis. If the Canadian resident is also an American citizen, she may be subject to U.S. estate tax, in addition to Canadian capital-gains taxes. But because the lifetime exemption on the 40-per-cent U.S. estate tax is $11.2-million per individual – $22.4-million for a married couple – only the ultrawealthy will generally be required to pay it. "There are also simple ways to extend that exemption with some basic planning," Mr. Kuenzi adds. "If you're facing U.S. estate tax, you'd be able to anticipate that. You could fund life insurance trusts [for beneficiaries], for example, or begin gifting assets." Bequeathing assets to beneficiaries in jurisdictions farther afield should be dealt with on a case-by-case basis, he cautions. Take China, for example. The country has neither an estate nor a gift tax, making the transfer of wealth across borders relatively straightforward. When dealing with the European Union, however, matters become more complicated. Spain, Germany, the United Kingdom and Italy all have inheritance taxes, but at wildly different levels, he says. A beneficiary residing in Germany would be required to pay tax on any inherited assets based on the recipient's income, and subject to a graduated scale of exemptions. In Spain, a beneficiary would face similar obligations, and also face an effective maximum inheritance tax rate as high as a whopping 81.6 per cent on the bequeathed amount. In Italy, it's a relatively paltry maximum tax hit of 8 per cent. "Every country has different rules," says Mr. Kuenzi. His advice: "If you have family members in the EU, before you write someone into your will, find out what the implications are." The amount of information included in new annual investment reports are intended to bring more clarity to how your money is performing, but can still include a confusing array of information. The Globe's Clare O'Hara steps through how to properly read the data in your report.